Latok-1 is probably one of the hardest 7,000m peaks to summit and has always attracted top mountaineers from all around the world. But it is the Latok-1’s unconquered North Ridge which is considered a Holy Grail among climbers. Jim Donini, Michael Kennedy, Jeff Lowe and George Lowe were the first ones to attempt to climb the 7,145m ridge in 1978. Despite being among the strongest American climbers of the time, they were unsuccessful. Forty years have passed and the Latok-1’s North Ridge still stands defiant, daring mountaineers to conquer it. Russian climber Alexander Gukov and Sergey Glazunov arrived in Pakistan with a dream of doing what no one else has been able to: summit the notorious North Ridge. This is not the first time Gukov will be attempting to scale it. He almost made it to the top in 2017. 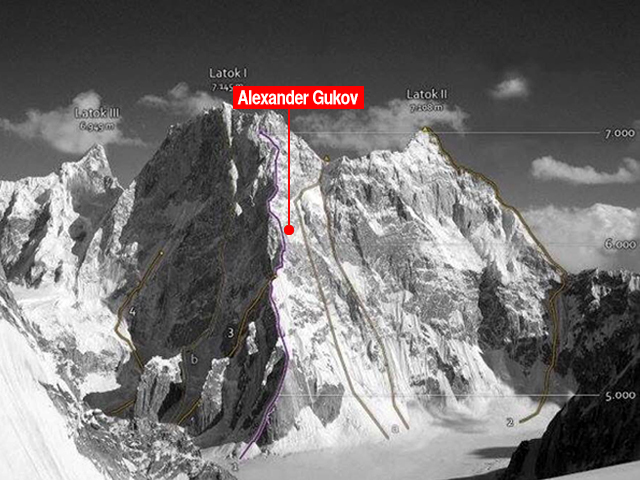 Gukov along with Anton Kashevnik and Valery Shamalo had attempted to climb it and even reached 6700 meters, the second highest any team has reached. But they were forced to descend after running out of food. The two men were not alone. Another group of alpinists — Viktor Koval, Aleksandr Parfyonov and Konstantin Markevich — was also trying to summit the peak simultaneously using a different route. They started their journey on July 12. Soon they realized that it would not be easy. Koval said the mountain was abnormally warm and over 5,000 streams and waterfalls were flowing, causing rock fall, mountain.ru reported. On July 21, Koval reported that he and his teammates were back at the base camp. On the other hand, Gukov and Glazunov continued their journey. The July 23 GPS shows that Gukov and Glazunov passed Gukov’s previous expedition mark and reached 6,975 meters. They were just few hundred feet away when with worsening weather and a shortage of food forced them to return. And that’s when the disaster struck. Koval, who was tracking the progress of the duo, was the first person to realize that something was wrong. He saw their tent, but he could see only one person. His fears were confirmed when Anna Piunova received the SOS message from Gukov. Glazunov has died while rappelling on July. He can not get off on his own and needed evacuation. But the weather was not allowing helicopters to take off. The Pakistan Army made seven rescue attempts July 26 to 30 but the rescuers failed to locate Gukov. Finally, on July 31 the army found him. 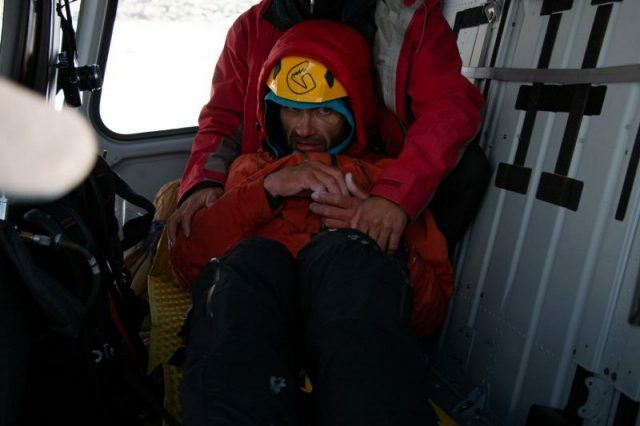 This was the first such rescue at a height of more than 6,000 meters. The Russian has been airlifted to the nearest hospital in Skardu, and is said to be in good health, despite having gone three days without food, Reuters reported. As Gukov’s second unsuccessful attempt wraps up, the ridge has stood its ground.